Brandon L. Garrett joined the Duke Law faculty in 2018 as the inaugural L. Neil Williams, Jr. Professor of Law. A leading scholar of criminal justice outcomes, evidence, and constitutional rights, Garrett previously was the White Burkett Miller Professor of Law and Public Affairs and Justice Thurgood Marshall Distinguished Professor of Law at the University of Virginia. Garrett’s current research and teaching interests focus on forensic science, eyewitness identification, corporate crime, constitutional rights and habeas corpus, and criminal justice policy. 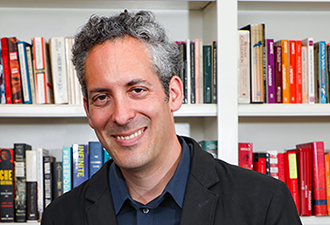 In addition to numerous articles published in leading law journals, he is the author of five books: The Death Penalty: Concepts and Insights (West Academic, 2018) (with Lee Kovarsky); End of its Rope: How Killing the Death Penalty Can Revive Criminal Justice (Harvard University Press, 2017); Too Big to Jail: How Prosecutors Compromise with Corporations (Harvard University Press, 2014); Federal Habeas Corpus: Executive Detention and Post-Conviction Litigation (Foundation Press, 2013) (with Lee Kovarsky); and Convicting the Innocent: Where Criminal Prosecutions Go Wrong (Harvard University Press, 2011). Convicting the Innocent, an examination of the cases of the first 250 people to be exonerated by DNA testing, was the subject of a symposium issue in New England Law Review, and received an A.B.A. Silver Gavel Award, Honorable Mention, and a Constitutional Commentary Award. It was translated for editions in China, Japan and Taiwan. For more information, visit Garrett’s website. His work has been widely cited by courts, including the U.S. Supreme Court, lower federal courts, state supreme courts, and courts in other countries, such as the Supreme Courts of Canada and Israel. Garrett also frequently speaks about criminal justice matters before legislative and policymaking bodies, groups of practicing lawyers, law enforcement, and to local and national media. He is involved with a number of law reform initiatives, including the American Law Institute’s project on policing, for which he serves as Associate Reporter. Garrett received his BA in 1997 from Yale University. He received his JD in 2001 from Columbia Law School, where he was an articles editor of the Columbia Law Review and a Kent Scholar. After graduating, he clerked for the Hon. Pierre N. Leval of the U.S. Court of Appeals for the Second Circuit and then worked as an associate at Neufeld, Scheck & Brustin LLP in New York City. Garrett: As political support for capital punishment wanes, the death penalty will end "with a whimper, not a bang"